Hate the way when you shoot your bow at something or someone, you have to shoot way above them to hit them? Well now with StraightShot, you can make bows shoot straight! Just point and shoot, great for PvP and texture packs with guns etc. involved. However, to make it more realistic, the bullet spread is slightly upped the farther away you are from your target, giving it a nice realistic feel. - Made compatible with 1.8 while still keeping original mechanic. Yes, this mod still lets you shoot like it was before the update, and still giving you a perfectly straight line of fire. It would be so nice to see this updated. whats so bad about meta-inf? Seems interestin, any chance i can use this server side? is there a server download? why is everyone hating? It's a simple, but helpful mod. I like it. Look at the version #, it will not work with 1.2 and it never will, I discontinued it. Uh, no I just used that as an example for the mod. The mod makes your bow shoot straight with no gravitational physics. I just used Mine Wars here (which I made by the way) to show that it makes packs with guns more realistic. mr. sir! it does not work, sir! i deleted the META-INF and added the two class files to the .jar through the archive, sir! what did i do wrong, sir? Does this work with servers? You sir, have got a very nice profile pic. does it work with 1.0.0? I belive you can make this with a texture pack. Other from that, cool. Yeah i 'attempted' to update it to 1.8.1 without MCP... Didnt go too well as you can see... So i gotta wait till it releases the new version to fix all the bugs. ok thank you good mod though good concept but will it cause issues with the new draw bow action ?? because that determines power and "straightness"
It does for me but ive discovered that there is a big bug that causes it to not work for some people. With MCP not updated yet i cant fix this problem easily so if it doesnt work for you then sorry nothing i can do but if it does work then great! Good mod but doesn't the arrows mod do the same using a homing bow?? I was and am not aware of such a mod... I just uploaded this because i thought it was a good idea and i was frustrated because in my Star Wars pack blaster bolts had gravity and physics that shouldnt apply. This is more of a mod to help out modern/sci-fi texture pack makers by making their guns or whatever more realistic. Or maybe give yourself an unfair advantage against monsters. It works for me man im 1.8.1..... You may not have deleted META-INF ive forgotten that detail plenty of times. Hey, if anyone finds this comment, Im very new to planetminecraft. Can someone give me quick instructions on how this level up system works? HOW DID ALL THESE MODS SUDDENLY UPDATE TO 1.8!!!!?!?!? XD I updated them thats why! Its not hard to do all you gotta do is copy and paste your code into the 1.8 class files. 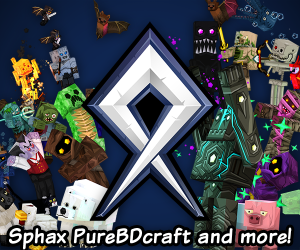 And the level system works by uploading stuff like texture packs, projects, skins, servers, blogs and mods. The more views and downloads you get the more you level up. Yes but it has to be a vanilla server. How to make it with crafting box? Just like a normal bow? Well in the pictures is a texture pack, so that cool blaster rifle youre looking at is actually a bow, and what ive really done here is kinda made it shoot straight and if you hold down right-click its sorta like automatic firing. I made it for texture packs where the bow is retextured to a gun or a laser rifle etc. So to get the best experience i would go get one of those. Yes. Well maybe. I know it works with Too Many Items, but idk about on a Mac because I dont use one. Pretty sure it works though. Thats a good point. I should make that happen. This is a great concept, but, I downloaded it a while ago and I discovered that if you were to shoot a creature while it was red, the arrow would move very slowly away until you touch it, and then it harms you, is this fixed? This was a bug with unmodded minecraft. The problem is, when a mob is shot it goes through damage animations and cannot take damage in that time. But the arrow has to go somewhere so it flies back out. But in unmodded minecraft, the arrow will bounce to the ground. However in this mod since the range of the arrow is unlimited, it will shoot right back out in a different direction. Im trying to find out a way to fix this without going too far out of my way. I know, but I was just asking if you were able to fix the problem since I last downloaded this. Basically not yet, but maybe soon. Thats a texture pack. 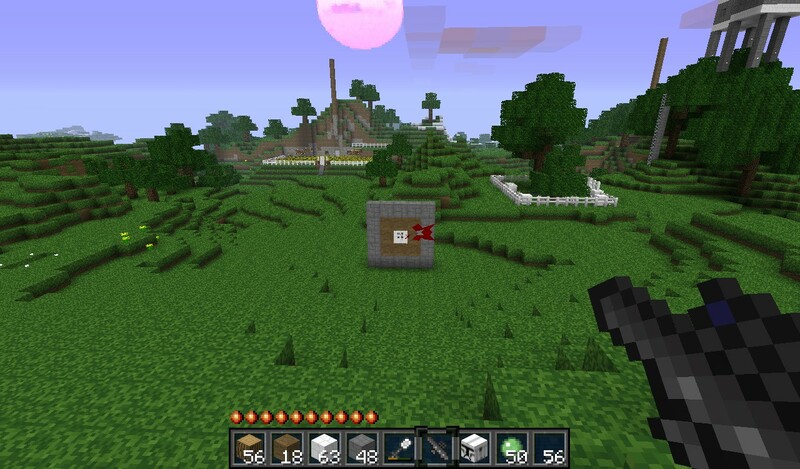 You can use a texture pack with a gun as the bow to make it work. Every time I try to shoot the bow, I get a screen that says 'Saving Chunks'. Then Minecraft crashes. Please help? META-INF is deleted, and I don't have any other mods involve bows or skeletons. PS. META-INF is deleted, and I don't have any other mods involve bows or skeletons. I think i know the problem, the arrow is being a RAM hog. when it shoots straight i thonk it renders chuncks as it goes. I might need to put a cap on distance. there is a glitch with your arrow mod yokoolio. i got this mod when it first came out and it worked great but every time i shoot multiple arrows (around 5-6 arrows) in the same row after they hit the monsters, they FLY back at me! please fix it please?!!! No its been in the game. The mod just amplified the existing glitch. God dang it this rules! Especially since i have the could city mod and star wars texture pack you made. Then once thats done i plan to move on to making an Explorer Pack, which will be like an Indiana Jones/Uncharted/1900's Amazon Expedition type deal. I think thatd be pretty cool as well. Yes, other mods that dont involve skeletons or arrows in any way. Good find. Ill fix that as soon as i can. Are you sure you deleted the META-INF folder? And if you did, do you have any other mods involving bows and/or skeletons? If so they may be the problem. SkyChanger - More than a dozen skies to choose from!